2016 School 33 Art Center Open Studio Tour: Registration Opens on Friday, July 1st! The City of Ithaca Public Art Commission (PAC) seeks proposals from artists or organizations for site-specific murals that will become part of the city-wide public art mural initiative. The theme is open, but proposed installations should be thoughtful of the community in which they are being placed. We are now seeking proposals for the creation of a work or placement of an existing work specific to this site. Proposals for sculptures may includde photographs of exisitng pieces, fully developed concept drawings of a work in progress, or drawings sufficient to indicate the development of a work over the short instalation time-frame. Proposals should have a clear end product and strategy for its realization. It is important that the work be strong enough structurally to withstand the elements for the five and a half week exhibiton period. For more information about the application process and the RiverFest project please visit their website. 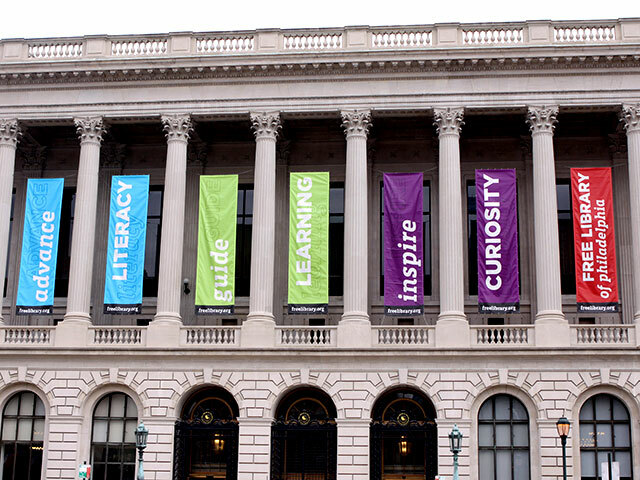 The City of Philadelphia’s Percent for Art Program, through the Office of Arts, Culture and the Creative Economy (OACCE) announces a $50,000 competition to commission an interior site-specific artwork for The Free Library of Philadelphia’s main branch at Parkway Central. This commission is part of a $36 million major renovation. The Percent for the Art Program and the Free Library of Philadelphia seek to commission an indoor high quality, original site-specific artwork. Alongside the design team, we have identified a two-story open shelving system as the site for this commission. This system is located on the first and second floors of the renovated space, within the BRIC and Common areas. Potential artwork could be a surface treatment of the shelves themselves, or placement of objects within or on the shelves. More information will be given at the Pre-Proposal Meeting. A budget of $50,000 has been allocated for this Percent for Art commission. This sum is inclusive of all artist(s) fees, insurance, fabrication, installation, travel, and all other project related expenses. This competition is open to artists and artist-teams who reside in the United States. The City of Philadelphia reserves the right to determine additional eligibility requirements. Artwork will be selected on the basis of creativity, artistic merit, technical proficiency, and relationship to the site. Long-term maintenance, durability, and public safety concerns will be major selection criteria. Artists are required to comply with applicable rules, contracts, and procedures of all governmental boards and agencies of the City of Philadelphia. Applications for round one of the selection process are due June 29, 2016 at 5PM. For more detailed information please refer to the complete Call for Artists. You are invited to submit to Photo ‘16, a national juried fine art photography exhibit at Multiple Exposures Gallery at the Torpedo Factory Art Center in Alexandria, VA.
Juror: Sam Abell – Distinguished photographer, teacher, writer, lecturer and National Geographic documentary photographer. Exhibit dates: October 18, 2016 – November 27, 2016. Awards and opening reception, Saturday, October, 29th, 2016, 2 – 4 pm. Submission Instructions: Entries must be completed online. Artists may submit up to three images, and are encouraged to include an artist bio of 200 words or less. Payment is by Visa, Mastercard, American Express, Discover or PayPal. There is no theme. Images must be JPGs, sized at 1600 px on the long side, 300 ppi, and sRGB color space. No watermarked images will be considered. 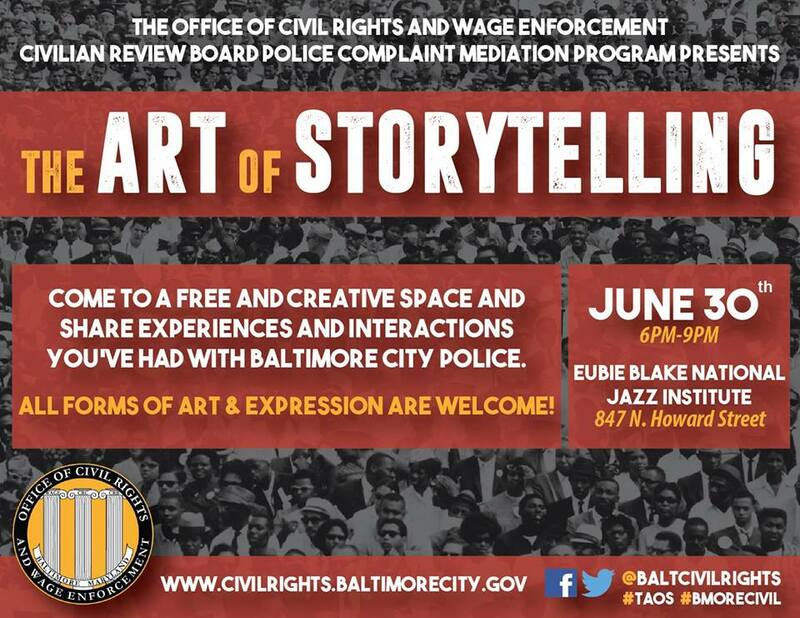 Come to a free and creative space and share experiences and interactions you’ve had with Baltimore City Police using any form of expression. Boasting testimonials, songs, poems, photography, artwork, and more, the evening will provide a rare and much needed platform for healthy and artistic exchanges concerning civil liberties and social issues. ALL FORMS OF ART & EXPRESSION ARE WELCOME! Contact Taneishia.Bundy@BaltimoreCity.Gov for more information and to sign-up to participate!! Applications are now being accepted for the 2016 Artist in Residence. Information on how to apply is below. Click here for information about the current Artist in Residence. The Marfa Contemporary Artist in Residence program was instituted in 2012 with the aim of supporting the development of artists of diverse ages, backgrounds and disciplines. Artists involved in painting, drawing, sculpture, photography, installation, performance-related media and other fine art media are eligible to apply for a residency. The competition is open to U.S. residents currently residing in the United States. Non-U.S. residents residing in the United States may be eligible to apply if they are currently in receipt of the necessary visas and documentation to continue residence. The residency is for a two-month period. The Artist in Residence program provides an opportunity for artists from the USA to work in a unique natural environment. Marfa is a small town in a sparsely populated area of far West Texas, and artists should be prepared to spend a great portion of their time alone. A residency at Marfa Contemporary is perfect for those artists who seek a quiet environment that remains largely unfettered by industrialism. Due to the isolation of Marfa, it is a condition of acceptance that the artist have a valid driver’s license that permits him or her to drive in the United States. Marfa Contemporary provides a furnished apartment and artist studio. A stipend of $1,100 per month is provided to assist with living expenses and art materials, subject to a 30 percent federal withholding for nonresidents, during the term of the residency. 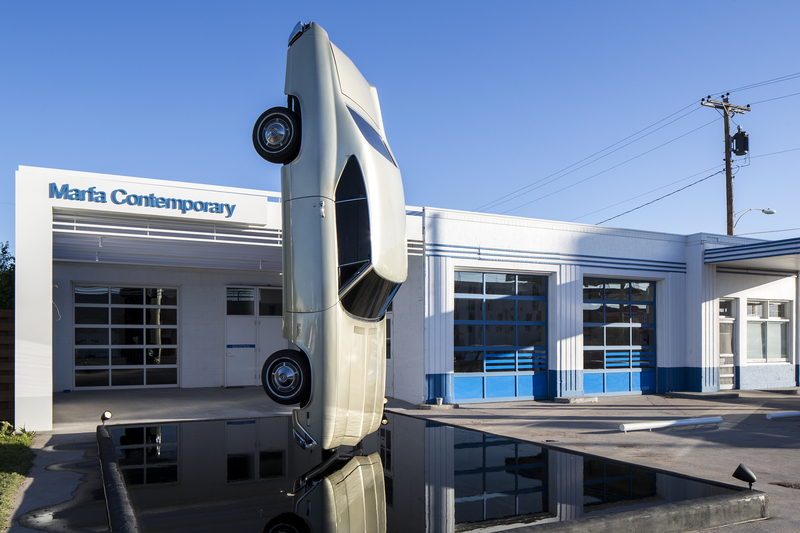 Flights and travel costs to and from Marfa will be borne by Marfa Contemporary within the USA ONLY. Any car hire/rental cost or travel costs the artist incurs during the residency will be self-funded. 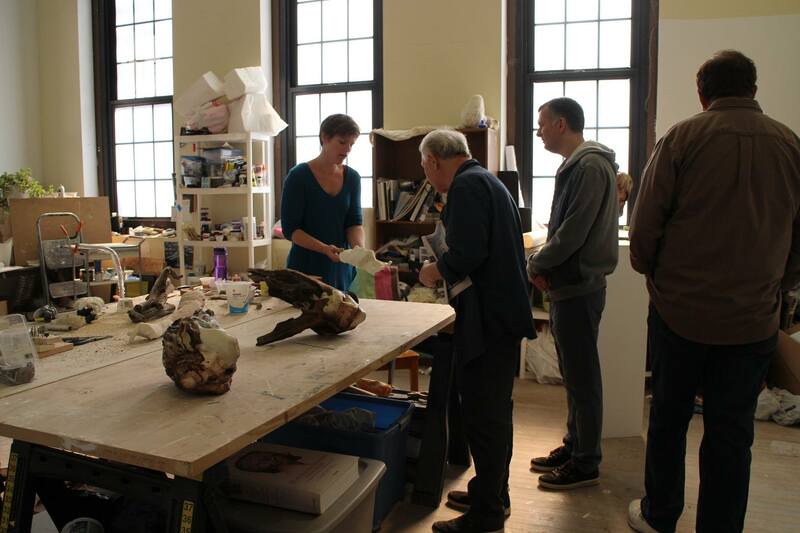 It is expected that the artist, during his/her residency, will participate in school workshops, actively engage with the local community and present an open house of his or her work at the close of the residency period, which runs Oct. 15 to Dec. 15. Artists: Become a member of Marfa Collective, an artists’ association, for the opportunity to apply for inclusion in a group exhibition.